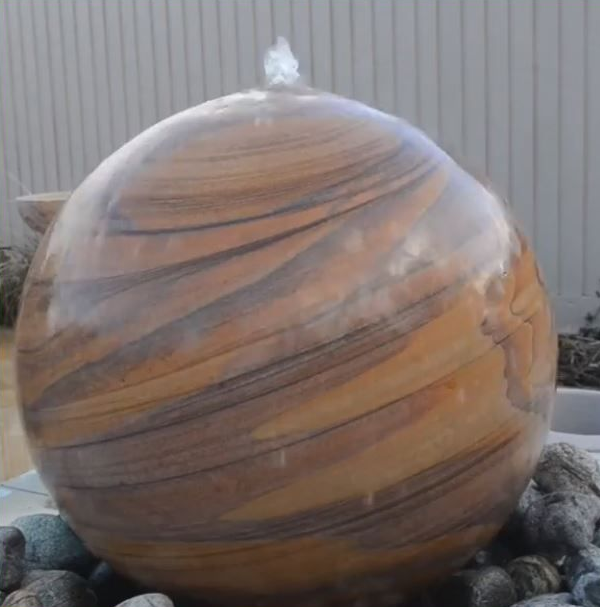 Unique Rainbow Sandstone Sphere Water Feature of 400 mm (16 inches) diameter. We have a fantastic selection of lighting to make this feature even more calming and relaxing at night. 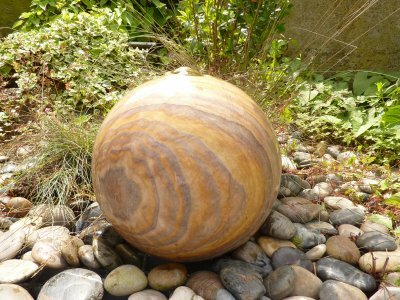 And don't forget it is possible to combine up to 3 spheres on a reservoir, nicest option is each of different size , so say a 30cm, 40cm and 50 cm diameter spheres.